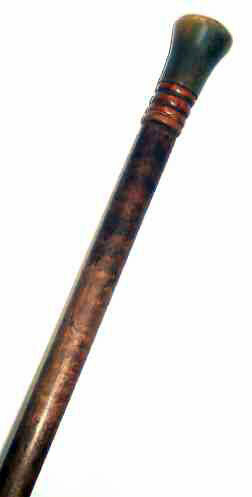 Presented here, a very fine Horn Handled Dagger Cane with a Tiger Maple Shaft. The Horn Handle which measures 3" long and 1-1/2" in diameter at the top has an inset pewter discus. With a straight pull, the fine 4 edged 13-3/4" long steel blade can be withdrawn from the shaft. 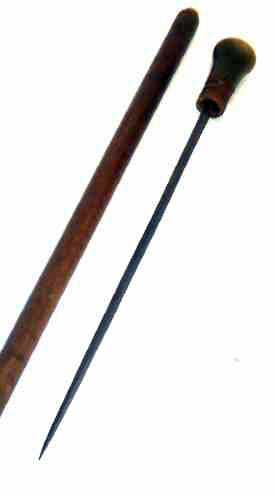 The overall length of the cane is 37" and it is in fine condition.